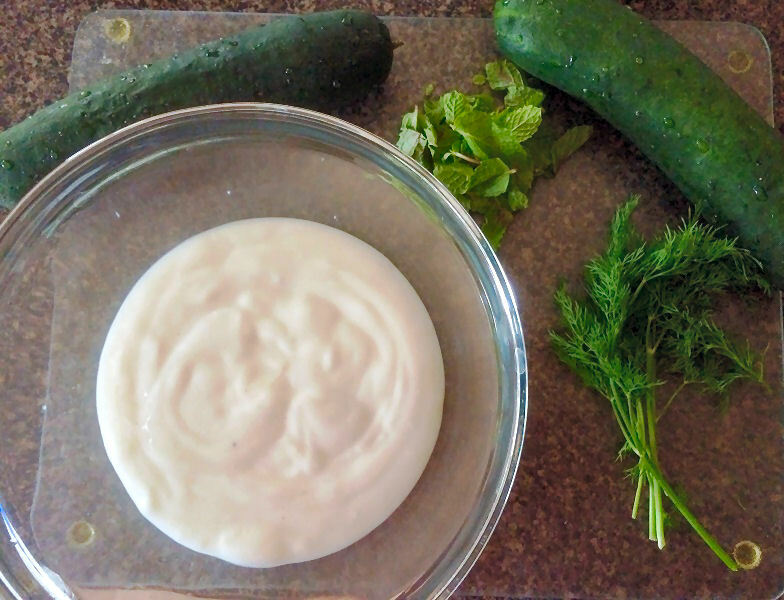 Cucumber and yogurt is one of my favorite side dishes, which can also turn into a great snack, dip or even a meal! But, tzatziki is typically made with dairy yogurt, and we don’t do dairy here at RAWmarkable! So, what’s the next best option? Finding a yogurt substitute, and adjusting the ingredients accordingly. The result is a healthy, clean, dairy-free tzatziki, made with only the freshest of ingredients! Almost all the ingredients used, minus the lime, salt and pepper! First, you will need to grate cucumber, using the thin blade of your grater. 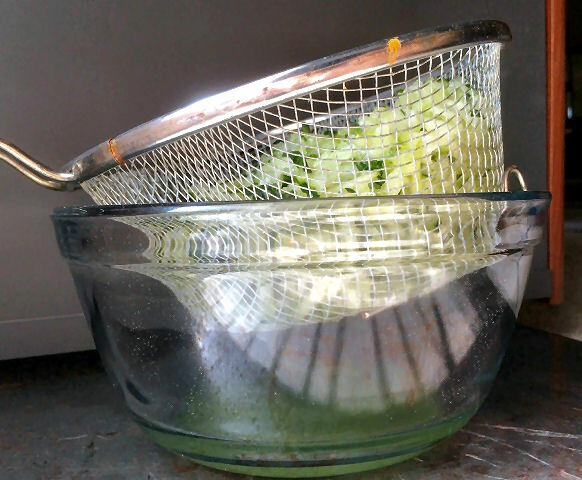 Place your grated cucumber in a large strainer, and place over a bowl. Add 1/2 tsp salt to the cucumber, then set it aside to drain for about 15 minutes. You need to remove the moisture from the cucumbers so that your tzatziki doesn’t get too runny. 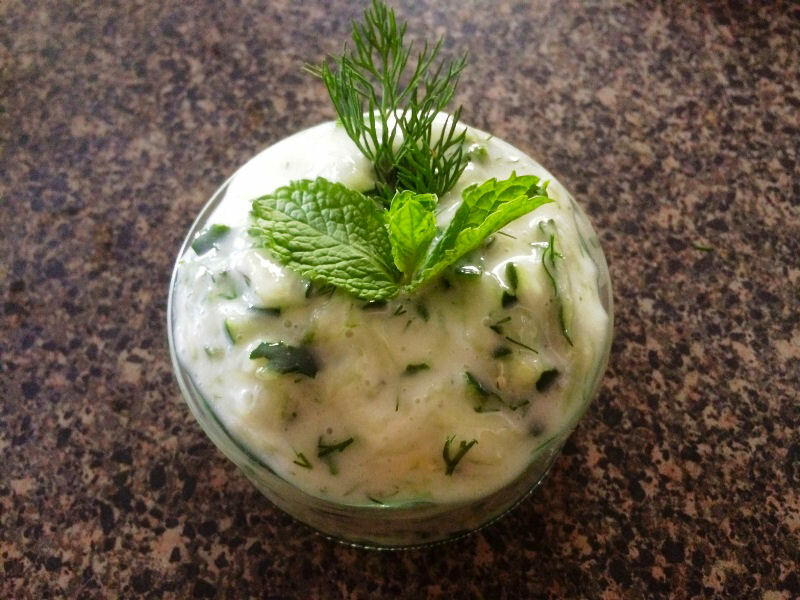 As the cucumbers are draining, use this time to put the coconut yogurt into a large mixing bowl, then thinly slice the mint leaves and dill sprigs. Once the cucumbers are drained from the liquid, take them out of the strainer and put into the bowl with the yogurt. Look at all that great cucumber juice! 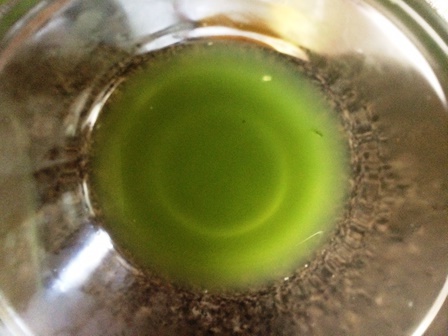 Don’t throw away that cucumber juice! Drink it, it’s full of vitamins and minerals and is so good for you! 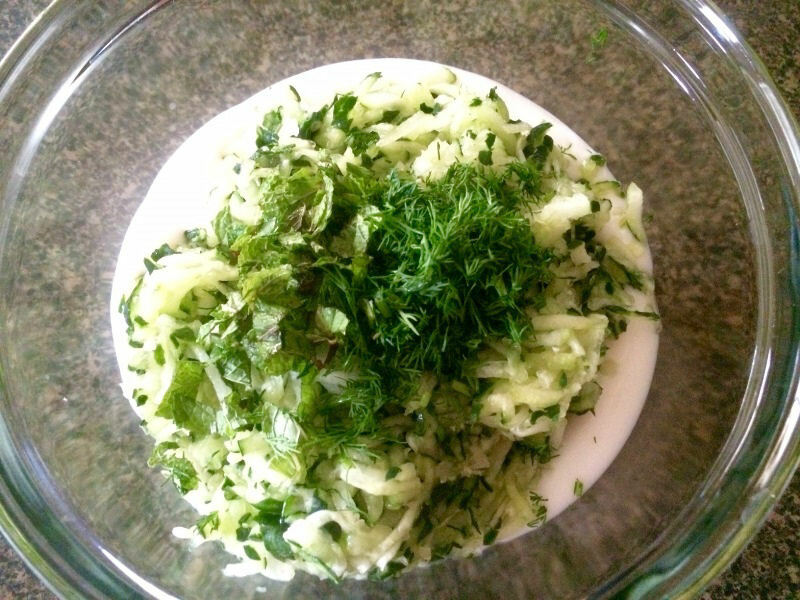 Next, add the mint, dill and juice of 1 lime to the bowl with the coconut yogurt and grated cucumber. If you are using olive oil, add it in at this time too. Mix it all together thoroughly, then put in the fridge to sit for about 15 minutes. This will allow the coconut yogurt to soak up all the flavors. 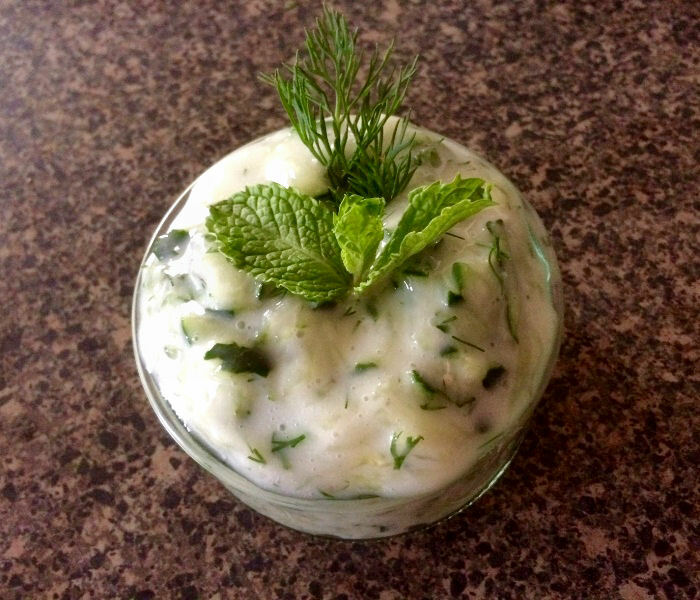 Coconut yogurt has a stronger taste than dairy yogurt, so you need to give the yogurt this time to take on the other flavors of the herbs and seasoning. Once it is done, then take it out of the fridge and serve! You can serve as a side dish, dipping sauce or just eat it plain as a snack or meal!